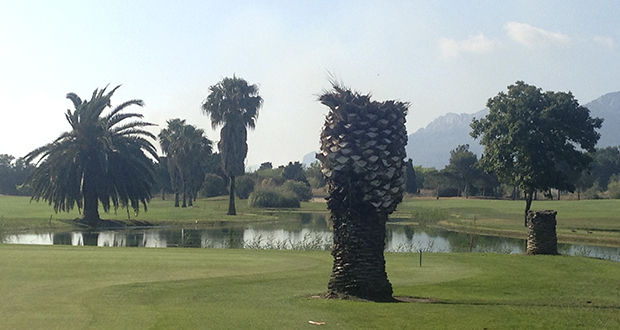 Many members and friends are surprised for the presence of dead palm trees on the golf course. The reason for this is the lack of trustful information about the behavior of this African bug. Many say that cutting down the leaves or the trunk of the tree sets free an aroma that calls for the picudo bug to fly into the area. Even though we do frequent periodical treatments of the palm trees, both the golf course and many nearby houses and garden have suffered the attack of the bug. We will keep remain careful and attentive about new information and treatments that help us diminish this problem.